Oh, do I wish I had this amazing invention in my life sooner! 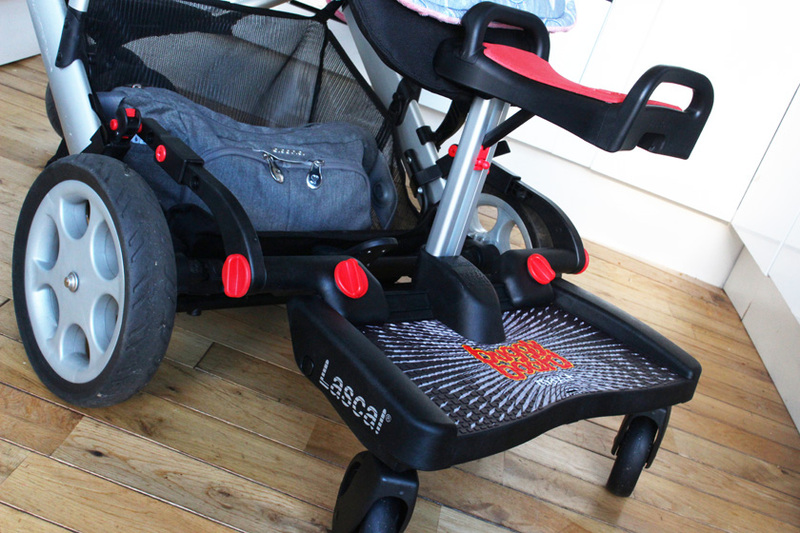 The Lascal Buggy Board Maxi Plus*(£99.00) from Cheeky Rascals is everything I hoped for and we have been using it for the past few weeks on longer walks to give Zac a little break, when his legs get sore or when I am in a rush and he just can't keep up with me. 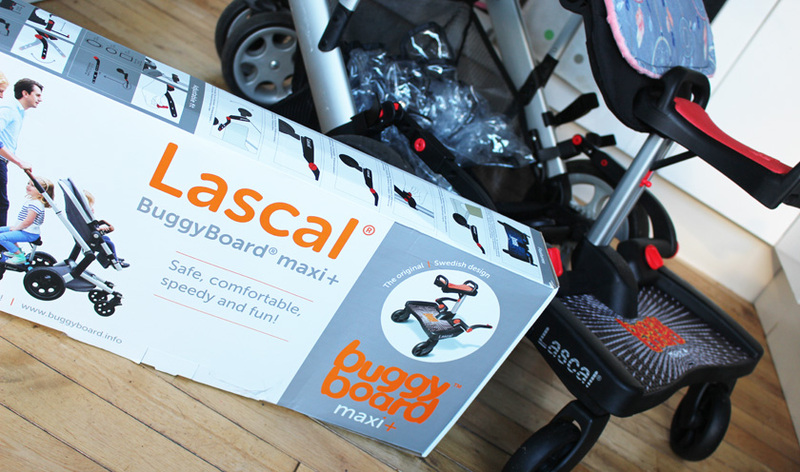 What is a buggy board anyway? 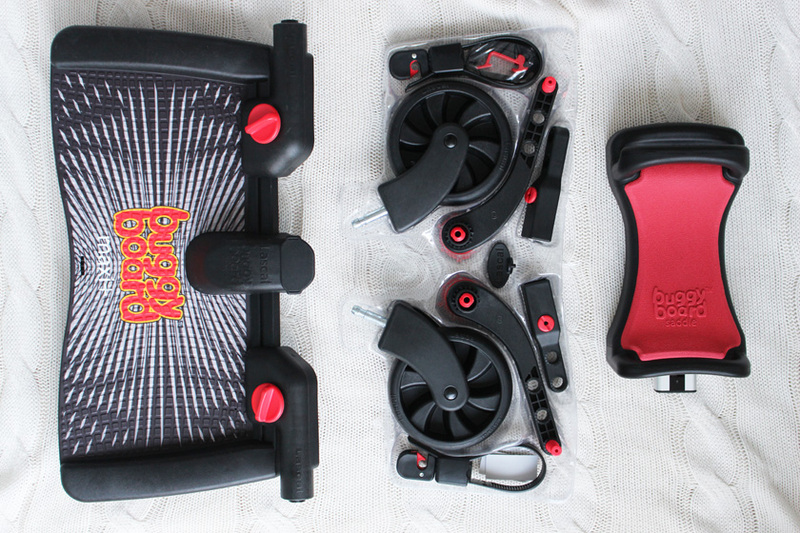 It's a board (this one has a seat too), which attaches to 99% of pushchairs with special easy fit connectors. It is genius! The installation is pretty easy and it provides a very secure fit. It took us about 30 minutes to get it all set-up, which included using the extenders to fit our buggy. 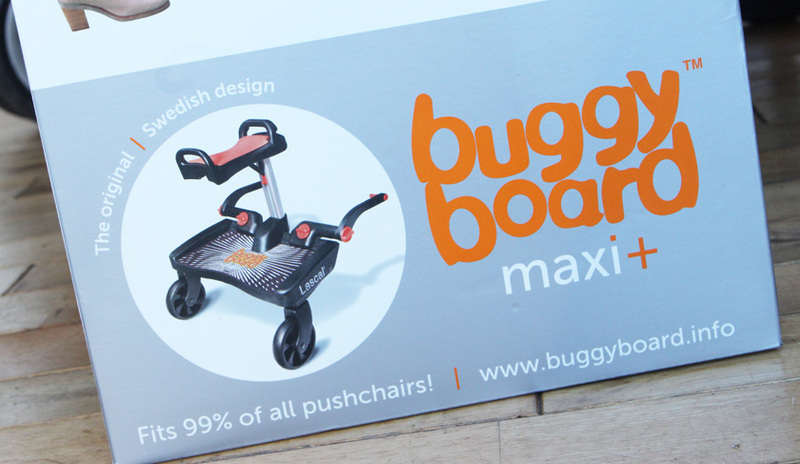 The Buggy Board Maxi Plus features a built-in suspension, two wheels and a large anti-slip platform. It is strong, durable and handles different terrains effortlessly. Zachary's weight is the maximum weight for it, which is 20kg (approx 5 years old) and I haven't had any problems using it. He is comfortable on it and I don't think I have to worry about the suspension breaking. 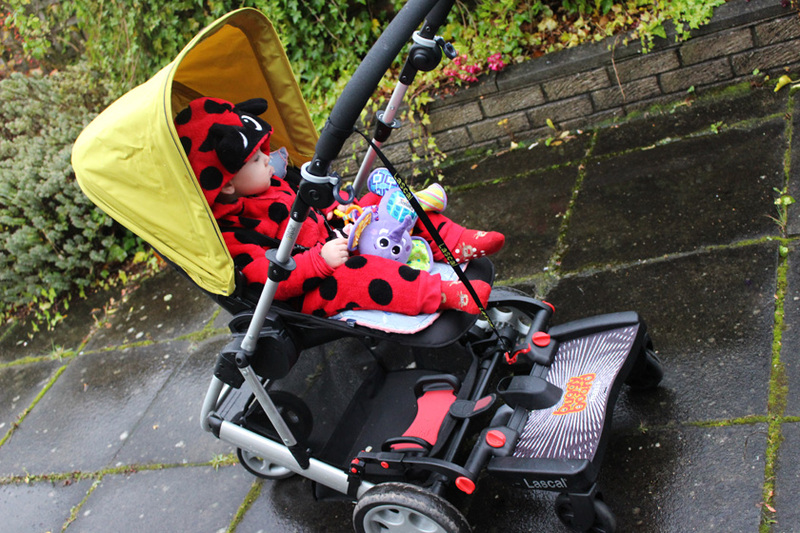 We used the Buggy Board with and without the seat, but as Zac only hops on it for a few minutes to have a little break, we mostly use it without the seat, with Mia facing us. 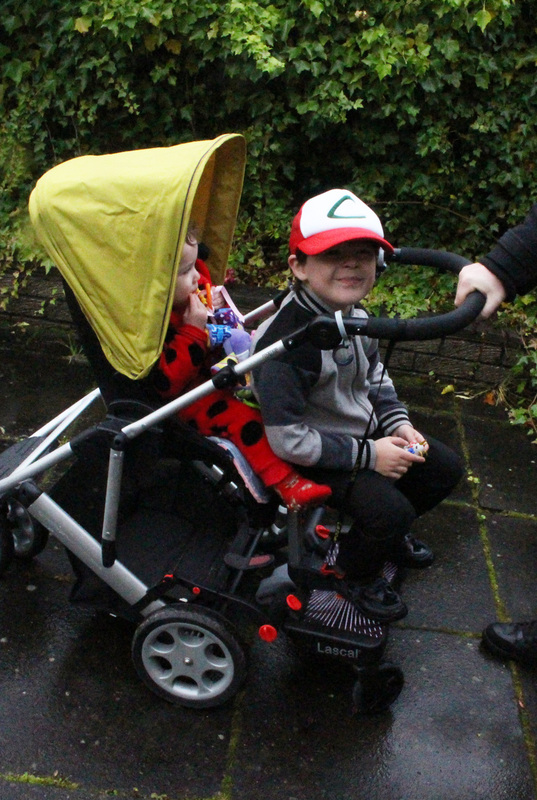 She likes seeing me, so it's the only way we can use the pushchair right now. 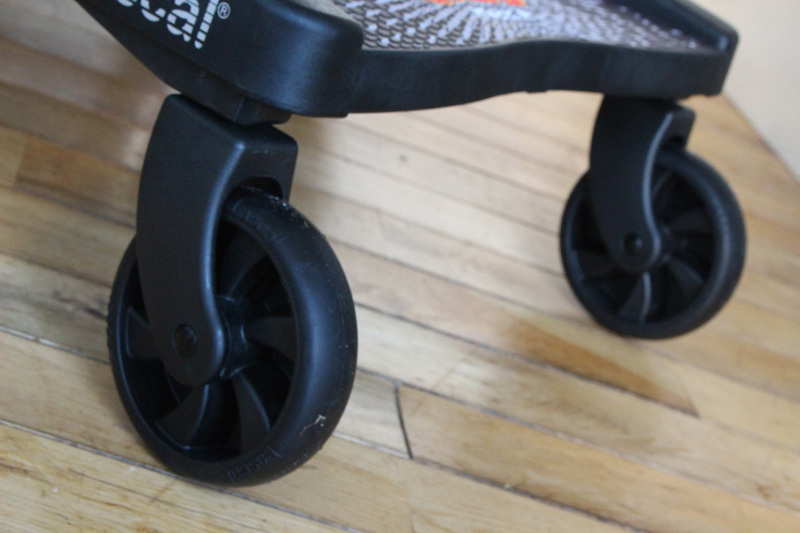 The wheels seem to handle any terrain pretty well and feel sturdy and well made. 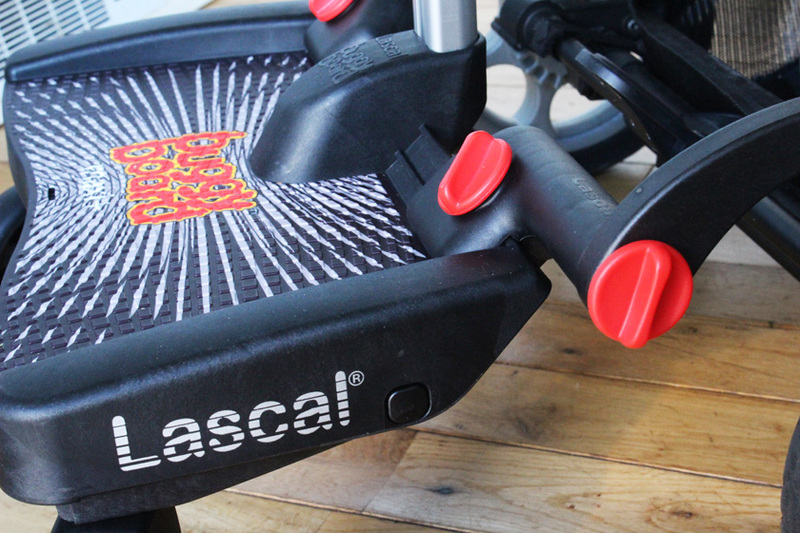 The saddle folds down, but you can also detach it easily and put it out of the way. 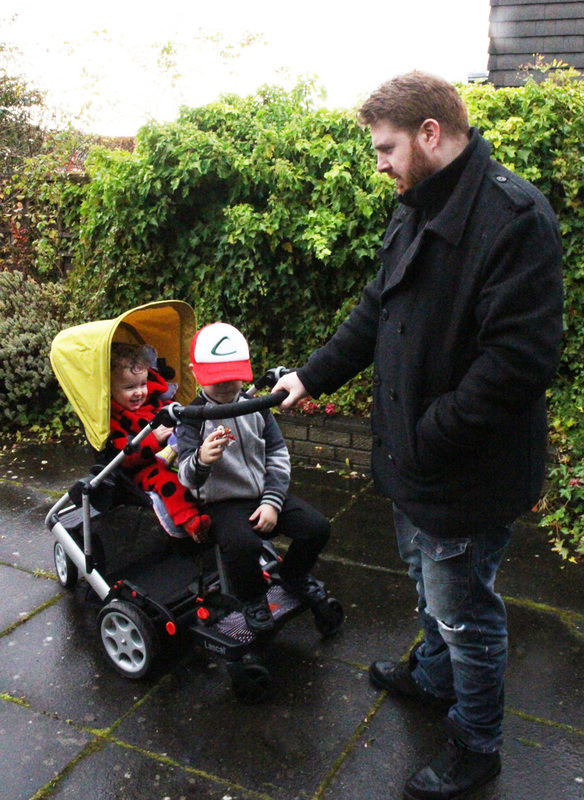 I was worried about bumping the buggy with the board attached to it up the stairs (we have big stairs outside, leading to the house), but I just use the strap and hook and the board is lifted within seconds and I can bump up the buggy without any problems. Yay! You can also detach the full board easily if you wish, so it's not a hassle at all. 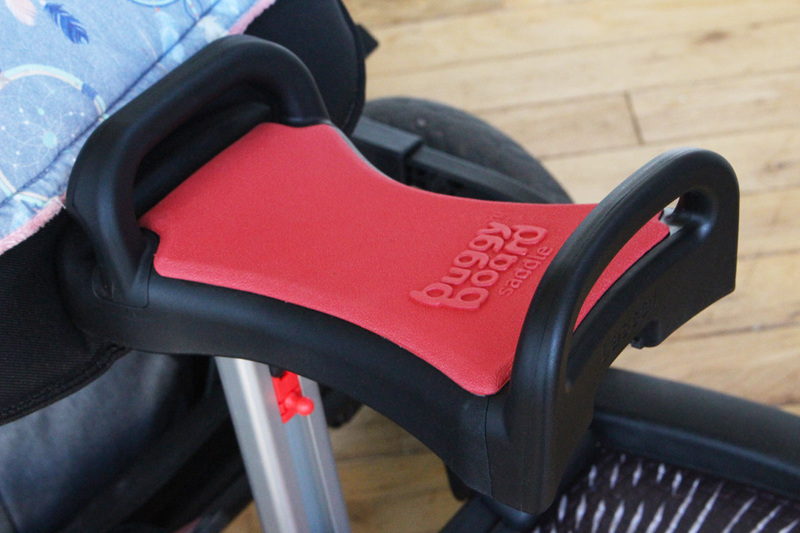 At £99 for the buggy board and seat, it is such a small price to pay for your child's comfort. Ideal for growing families on the go. Just look at them. Cuddles on the go are the best! 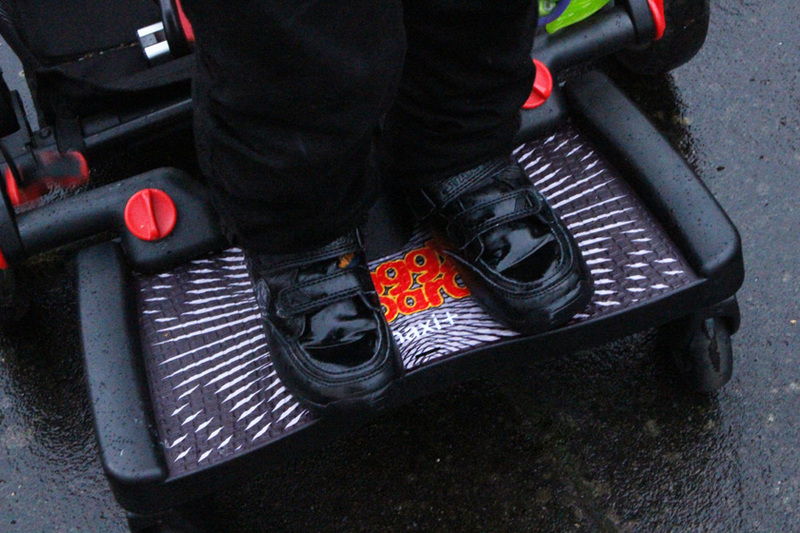 Some might ask why I would choose to use a buggy board with a 5 year old. Well... I tend to go for long walks to a park a few villages away and I wouldn't dare to put Zac through that. He is quite happy to walk most of the journey, but just hops on the board for a few minutes to give his legs a little rest. I am actually surprised how much he can walk without complaining. I don't drive, so he's used to it. Having the board there gives me a peace of mind, as I don't have to stress about a moaning kiddo and feeling guilty for giving him sore legs with too much walking. Oh, I just have to mention the story behind these photos. I planned to take these so many times and something was always messing up my schedule. Today I said that enough is enough, I got all ready etc and as soon as I walked out the door, it starting pouring down, complete with hail stones. Whaaaat? 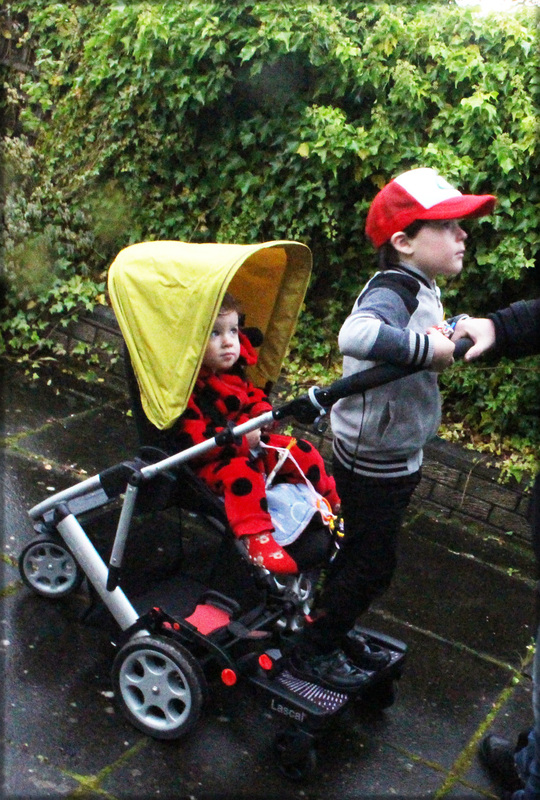 I got soaked picking Zac up from school, but was so determined to take the photos, that I took them in the rain! He was splashing in puddles though, so it wasn't all bad :) haha. PS. 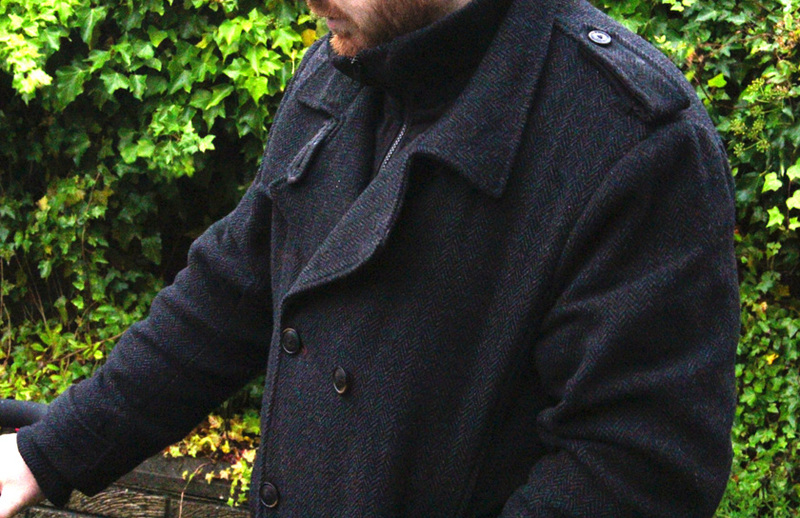 How gorgeous is Scott's new winter jacket, which also got soaked during our rainy photoshoot. It's the Joe Browns Double Up Winter Coat and you can get it from Jacamo. I love the herringbone fabric and the double layered look, with a zip up bit at the neck and double breasted fastening at the front. Elegant and casual, just depends how you style it. I love this look so much, plus it keeps mu husband nice and warm! Back to the Buggy Board! We love it soooo much! 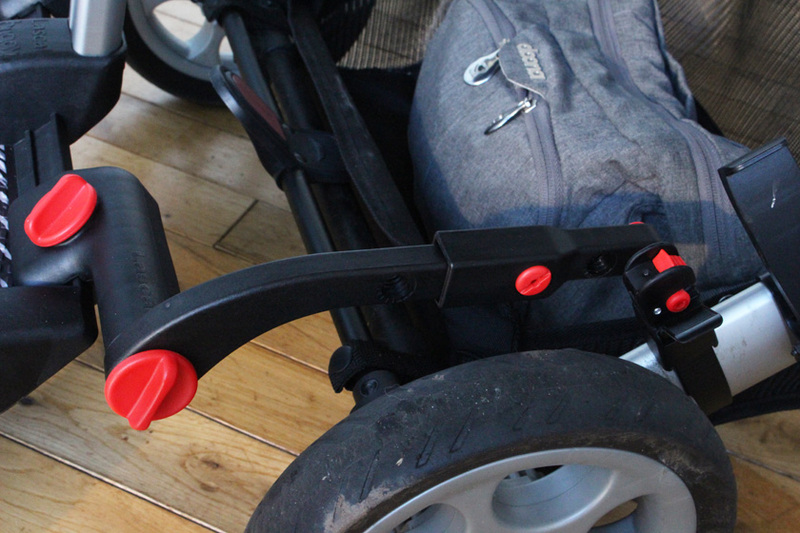 If you have two or more kids and you walk a lot, it is a must have! I will use it for Mia, when we have another baby in the future as well. Great investment and a fantastic invention!